Why Waste Time When You Can Hire a White Label SEO Partner? Marketing in today’s world has become much more involved. This is especially true if you market your business online. Not only do you need to think about the market strategies of old, but you also need to incorporate new methods too. This is where search engine optimization (SEO) comes into play. SEO is not exactly new. However, it has certainly evolved into something online businesses cannot do without. If you are new to SEO or just tired of spending hours on tedious keyword searches, you are in luck. As white label SEO partners, the professionals at 51Blocks love two things: the SEO process and helping businesses excel. Let's Become White Label Partners Today! What is a White Label SEO Partner? Let us start with the basics. What is a white label partnership? A white label partnership exists between two companies. In a white label SEO partnership, one company provides a product or service that is rebranded to appear as if another company provided it. That is where 51Blocks comes in. As your white label partner, we do all the legwork to help get your SEO marketing strategy running. We do all of the strategic SEO work, including forecasting, campaigning and reporting. In the end, however, everything is done in your name. So all of the credit goes to you. (In fact, if you want us to directly contact your customer, we can do so in emails from your domain! We also answer all phone calls, chat requests and emails generically. This ensures we retain the white label and your customer never knows you contracted outside help.) Sound too good to be true? Keep reading to find out more about how 51Blocks can help you win with your SEO marketing strategy. Google rankings, both national and local, affect your website's traffic. The higher your rankings, the more likely you will be listed first on a relevant Google query. By leading an effective SEO campaign, you can increase your Google rankings. 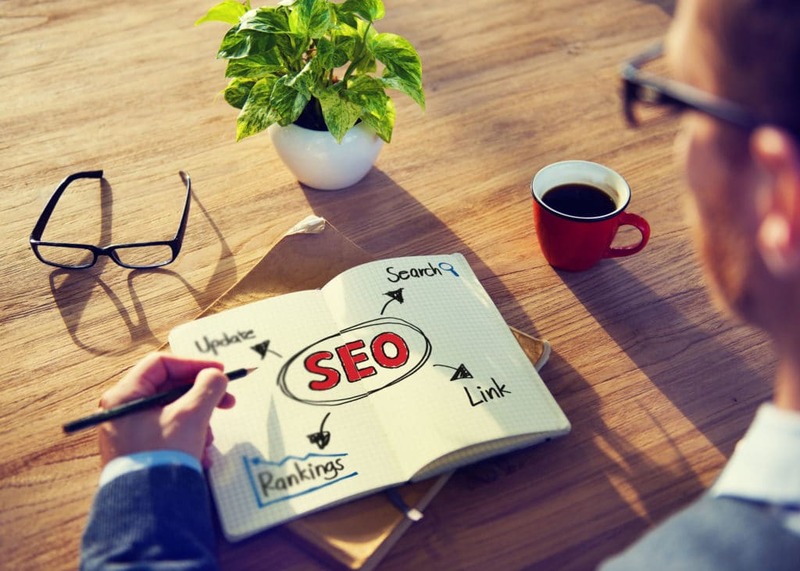 (In fact, did you know improper SEO use could negatively affect your marketing strategy?) At 51Blocks, we offer consistent services that are delivered on time. Our dedicated professionals work to ensure expectations are not only met, but also surpassed. Our customers have left countless testimonials regarding our powerful services and professionalism. On average, customers have seen a 42% year-over-year increase annually when collaborating with 51Blocks. Do you need some examples? Martin, as Scottish Group Companies, saw a net worth increase from $100,000 to $2.1million after working with 51Blocks Jersey College, who wanted to build online equity saw a 95% increase in organic traffic after contracting with 51Blocks. As Google analytics certified professionals and Google partners, we truly understand all aspects of an effective SEO campaign. Coupled with our honest interest in all of the SEO nuances, our professionals use previous results and lessons learned when reviewing your campaign strategy. Our work reflects our passion for SEO and client success. SEO really is time-consuming. From keyword searches to analytics, a strong SEO strategy can take hours out of your day and slow your ability to do other things. (Have you been trying to increase your own customer bandwidth? Hiring a white label partner, like 51Blocks, can free you up to take on more customers while leaving the SEO work to us.) At 51Blocks, we strive to provide effective and professional communications in a timely manner. In fact, we offer a guaranteed 24-business hour turn around on any queries you may have. At 51Blocks, we understand how important your business is. To support this, we assign each client with a dedicated account manager. This ensures someone with direct knowledge of your company, your goals, and our SEO campaign progress manages your support team. At 51Blocks, we are always connected. Day or night, our analytics are in overdrive. More than that, however, we go beyond SEO campaigning. If you need help developing a sales proposal, we can provide it. Need to know more about a potential lead? We can delve deeper into those metrics as well and provide in-depth reports. All reports are branded in your name. This allows you to provide them to your clients and take credit for all the success they have! White label partnerships may not be for everyone. However, if you develop websites, own a marketing firm, or just do not like to waste time on such tedious work – 51Blocks can help. Our passion drives us to succeed. We want your business, and that of your clients’, to be successful as well. Leave the SEO work to us so you can spend your time on other important tasks. When you collaborate with 51Blocks, our white label SEO services can ensure we all win.